2015 Ford Mustang Ecoboost Downpipe - Increase performance and improve sound with our Ford Mustang Ecoboost Downpipe. 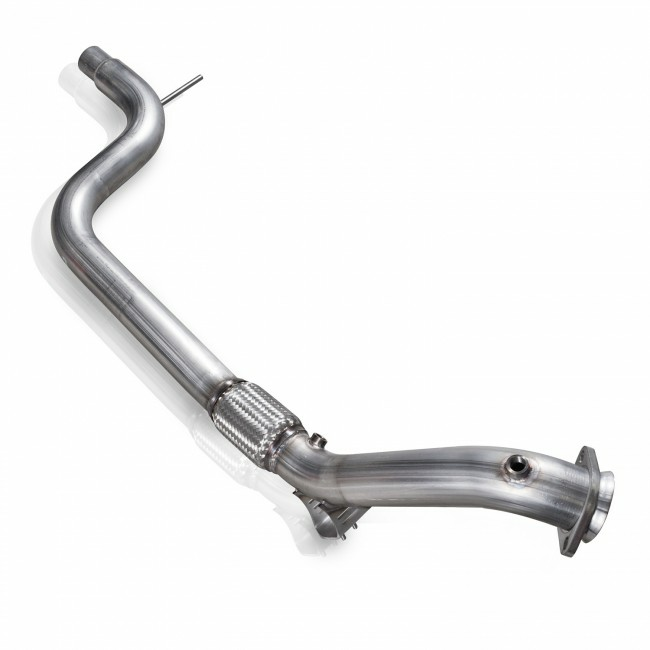 Our 2015 Mustang downpipe is designed with a 3" diameter catted lead pipe. This 304 stainless steel downpipe is TIG welded and fits to the factory connection point. Get superior performance with a lifetime guarantee with Stainless Works. Installs in approximately 45 minutes. 2015 Ford Mustang 2.3 Ecoboost S550 No one else can stack up to the bold clean styling of our aftermarket Billet dress ups, Street Strip & Racing Suspension & Performance Parts for your late model American Muscle Car!